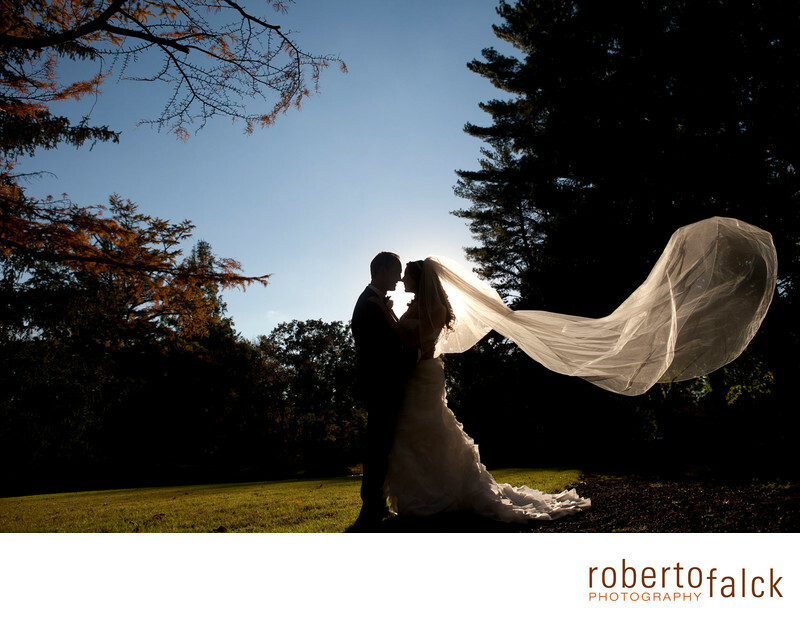 This is a couple I photographed at the end of the day at the Pleasantdale Chateau. The sun was going down fast and we just had a few minutes before it got too dark. It is a challenging situation to photograph as we need to work fast to get the shot. I love how the silhouette of their bodies almost form a heart shape.